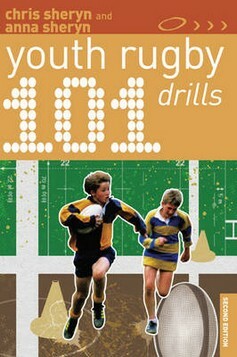 Designed specifically for younger players, 101 Youth Rugby Drills is the practice bible for youth rugby coaches. It contains a range of progressive practice drills to help young players develop. Fun, educational and challenging, all drills are illustrated and cover the essential technical skills required to introduce rugby, including: - warming up and cooling down - handling the ball - running with the ball - running off the ball - attacking and defensive patterns. As well as easy-to-use instructions, each drill contains information on the equipment needed, the space required, how to construct a safe and effective training session and how to organise the players.